This is the second seating area inside the Urban Bean coffee shop. It's located at Bryant Avenue South and 33rd Street. 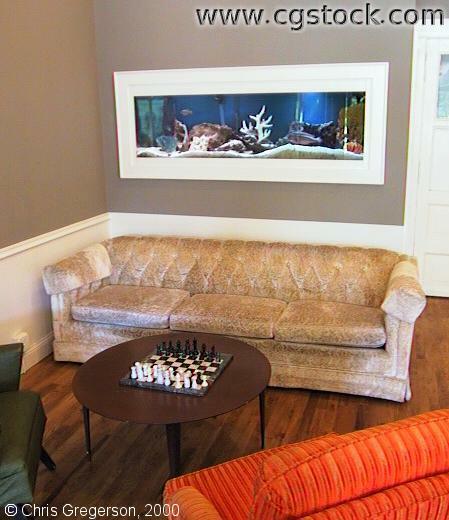 There is an aquarium in the wall behind the sofa.